I am currently a behavioral finance PhD student at the University of Münster. I love researching anything finance and am passionate about helping people with their personal finances. Studying in Germany, I believe, will provide a more diversified education and give us a better perspective on a now globalized world. It’s also cheaper to get an education here. 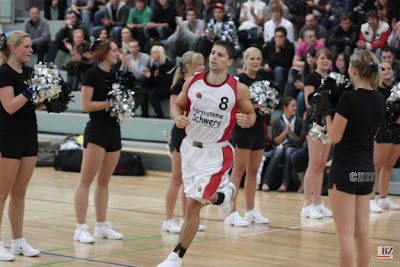 In addition to school and work, I play basketball for RC Borken, a 2nd Regionalliga team (4th league) here in Germany. I have always played point guard (that’s the only position other than team manager my height would allow) and have previously played professionally in Wulfen, Germany immediately after college. In my free time, (if there is such a thing) I love spending time with Dana, Dylan and Oscar and also catching up on sleep. My interests include travelling and (trying to play) golf.